AHR and it’s extended family of railroads are committed to the preservation of history and see’s this endeavor no less important to the future of this nation than the preservation of life itself. History defines and documents the very character of our country. It portrays our greatest social and technological triumphs as well as reminds us of our failures so that they may not be repeated. Most important, history absolutely points out to us the true source of America’s greatness; the ideals, the inventions, the courage, the ethics, the morality of men and women living in our atmosphere of freedom. This country will continue to prosper only as it recognizes and builds upon the lessons of its own history. Economic vitality, quality of life, and social justice are all a product of our history and are sustained as we understand the past and its relationship to our future. History may be a compilation of words, objects, and processes; but it translates into the human character traits of strength, courage, creativity, perseverance, morality, and the ability to achieve greatness. America’s greatest era still lies ahead for future generations, but the road to that future can be found only by reading the map of our past…our history. American Heritage Railways (AHR) is the country’s premier tourist rail operator and the industry expert in rail-related special event management. Great Smoky Mountains Railroad is a proud member of the AHR family, along with the Durango and Silverton Narrow Gauge Railroad and Rail Events INC.
Our owner, Al Harper, with his wife and 3 of his sons. Steam-powered, coal-fired locomotives pull vintage narrow gauge trains through the San Juan National Forest deep in the Rocky Mountains of southwest Colorado. 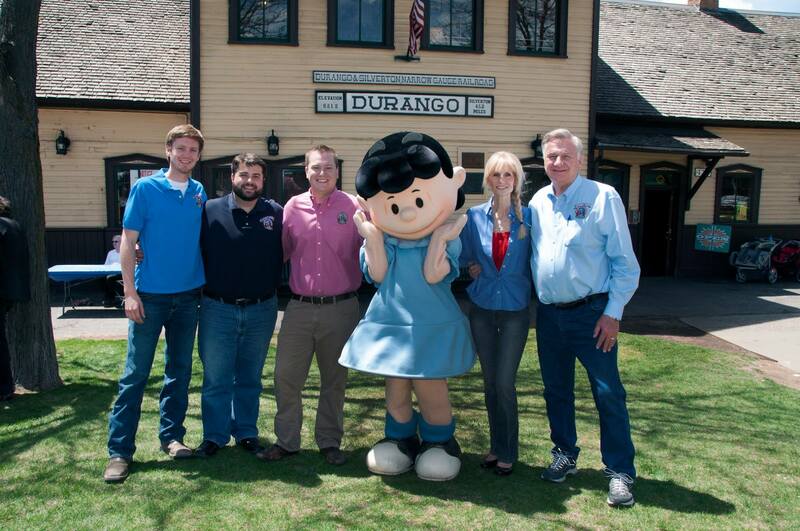 The D&SNGRR Museum features a large collection of railroad memorabilia in addition to full-size locomotives, historic coaches and much more. Open year-round. Rail Events Inc. is in the business of coordinating licensed special events, event coordination, event promotions, merchandise and related activities to railroad operators throughout the United States and Canada. Rail Events Inc. utilizes railroad industry contacts, using a clear and pre-planned event program guide, successful marketing strategies and customer satisfaction based programs which has made us a leader in railroad event promotions.